Georgia Blue is a family owned restaurant, named after the owner's eldest daughter, Georgia, that proudly opened its doors to the public in August 2010 with one mission: blow people's minds with a unique combination of sophisticated food and a laid-back style. The humble beginnings of Georgia Blue started when its founder embarked upon a lifetime of service in the restaurant and bar industry in the early 1990's. Over the next 20 plus years, he would fine tune his expertise and techniques by gaining practical experience working for, managing and eventually owning and running his own businesses. This intimate background coupled with the experience of his associates is clearly what seamlessly established the solid foundation for the success of the Georgia Blue restaurants. 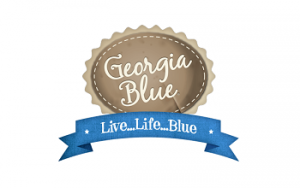 Georgia Blue has strived to improve and expand its brand and now owns and operates four restaurants, a bakery, its own private label bourbon and vodka, its own line of salad dressings, sauce and marinades, all of which are currently distributed throughout the state of Mississippi. We will provide you vast, hands-on knowledge and experience derived from years of both successes and failures that have accumulated into a company that not only has survived, but also thrived. Consistency is the name of the game in this industry, and with weekly and monthly visits from our regional team we will ensure that our standards become your standards. Most importantly, your royalty fee ensures that as member of the GB family, we will always be moving forward to present the most fresh, desirable, innovative and relevant Georgia Blue brand possible. Ready to join the family? Request free information below! Continued efforts to further expand and develop the brand through recruiting and bringing in new franchises to the system.